Did you know Australia has the highest rates of skin cancer in the world? Hamilton offers the highest level of protection with its SPF 50+ formulations. It is important to reapply sunscreen at least every two hours. 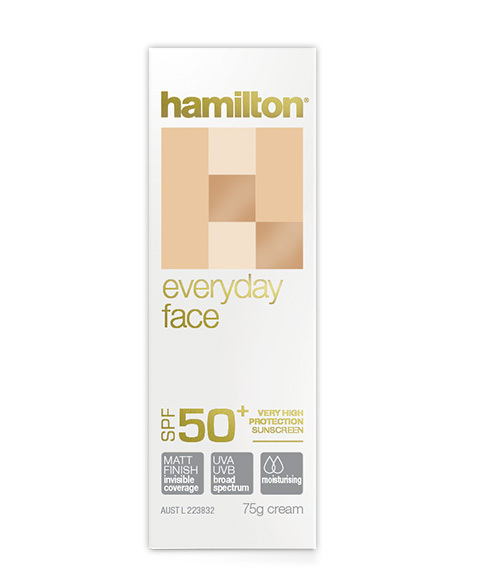 Hamilton's Everyday Face sunscreen in SPF 50+ is compact and lightweight, where it's the perfect size to carry in your handbag. If you want to reduce the signs of fine lines and ageing, it's so important to focus on protecting your skin for everyday. 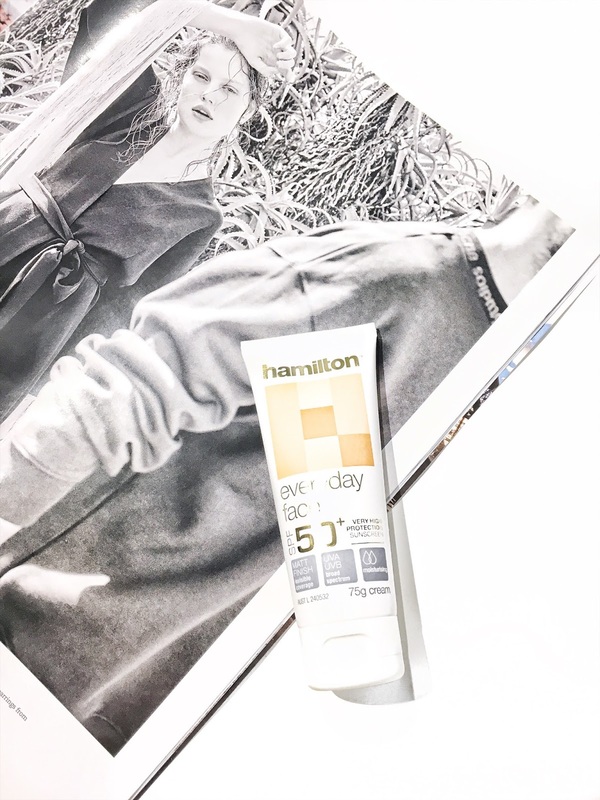 I've been using the Everyday Face SPF 50+ by Hamilton as it comes with a high level of UVA and UVB broad spectrum. It's also very moisturising and has a sheet tint with a light matte formula - making it suitable for an everyday wear. Thanks to Aloe Vera and Vitamin E, this sunscreen works to keep your skin from becoming dry. If anything, it feels super moisturising and for a sunscreen this is a great benefit. Sunscreen should be applied 20 minutes before exposure to UV in order to create the intended protective barrier. It should be applied liberally and evenly to clean and dry skin. Have you checked out any products by Hamilton?